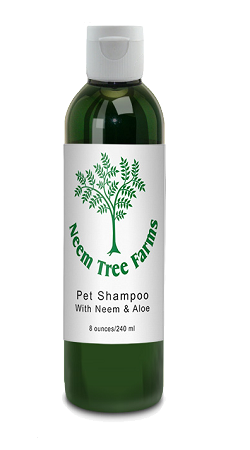 Neem Tree Farms pet shampoo is formulated to clean gently, with no harsh chemicals, soaps or synthetic, waxy thickeners, and you’ll love the fresh berry scent. 8 oz. INGREDIENTS: Azadirachta indica (neem) aqueous leaf extract, Alkyl polyglycoside (derived from corn), Cocoamdopropyl betane (from coconut), Aloe barbadensis (aloe vera) leaf juice, Cold-pressed Azadirachta indica (neem) oil, Tocopherol (vitamin E), Glycerin, Fragrance (Phthalate-free), Citric acid, Potassium sorbate, Asorbic acid, Sodium benzoate, Methylchloroisothiazolinone and Methylisothiazolinone.